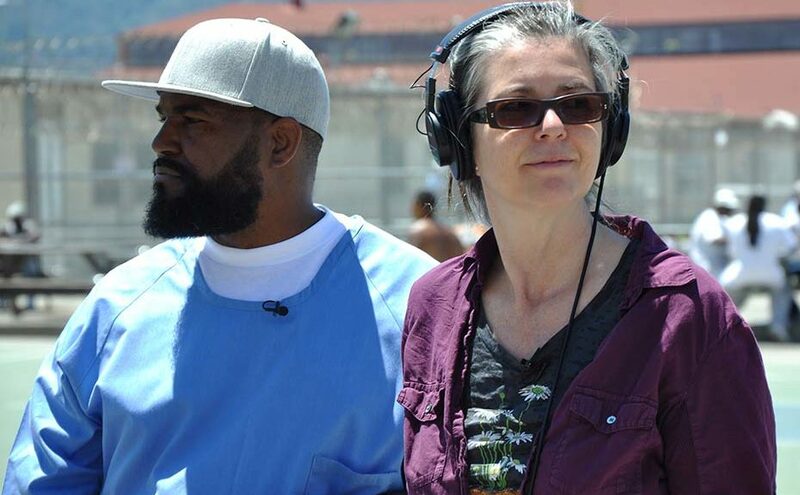 Ear Hustle, the podcasting phenomenon from San Quentin State Prison in California, is coming to the National Prison Radio airwaves. Ear Hustle tells stories of life inside California’s oldest and largest prison, shared and produced by those living there. The podcast is a partnership between visual artist Nigel Poor and Earlonne Woods, currently incarcerated at San Quentin State Prison, and was co-founded with fellow inmate Antwan Williams. Ear Hustle is one of the most amazing success stories in the history of broadcasting. Ear Hustle was the winner of Radiotopia’s Podquest contest in 2016, chosen from more than 1500 international entries. Radiotopia from PRX is a curated network of extraordinary, cutting-edge podcasts. This prison podcast has been incredibly popular. Just a month after its launch in June 2017, Ear Hustle exceeded 1.5 million downloads worldwide and reached the number one slot on the iTunes podcast ranking. ‘Ear hustle’ is US prison slang for eavesdropping. The show gives the world a rare opportunity to learn about the realities of life inside. It examines a range issues relating to prison life… What is it really like to share a cell? How do people cope with serving long sentences? And what about conjugal visits? Each episode of Ear Hustle is reviewed by the prison’s Public Information Officer, Lieutenant Sam Robinson, but it the programmes feel honest, frank and uncensored. The Prison Radio Association is thrilled to be able to bring Ear Hustle to the UK’s National Prison Radio audience. It will be broadcast on National Prison Radio every Friday at midday, and repeated on Sundays at 6pm. As anyone who’s watched many of the documentaries about prisons in the States knows, life on the wings over there can be extreme. No one knows that better than Earlonne. He is serving a 31-years-to-life sentence for attempted 2nd degree robbery due to the controversial three strikes law. He makes Ear Hustle alongside Nigel Poor – an visual artist who volunteers at the prison. Earlonne and Nigel spoke to us about why the programme has been successful, and what it means to be part of the National Prison Radio team. What do you think of Ear Hustle being broadcast on National Prison Radio? Do you think prisoners in England and Wales will be able to relate to it? What will it mean to you to know Ear Hustle is going to reach prisoners on the other side of the Atlantic?